Conservation easements held by Scenic Hudson are protecting beautiful properties throughout the Hudson Valley photo: Robert Rodriguez, Jr. The most direct way to protect land is to own it. 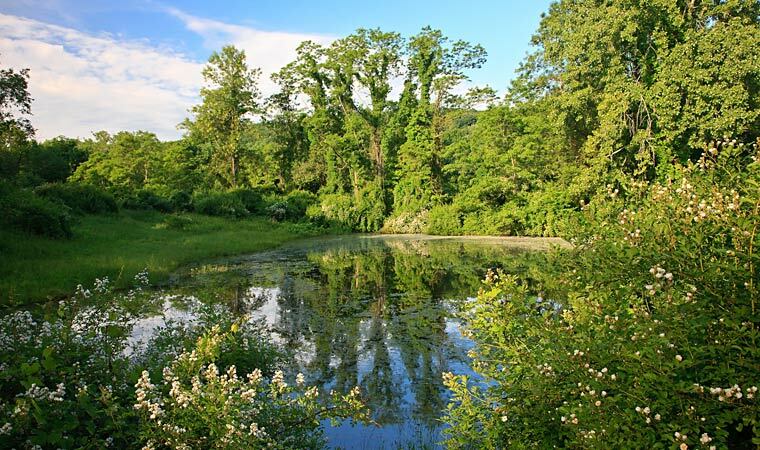 The Scenic Hudson Land Trust owns thousands of acres of parks and preserves in the Hudson Valley. We have acquired this land through donations from landowners and by outright purchase. Contact GIS and Land Resources Analyst Othoniel Vazquez Dominguez, (845) 473-4440, ext. 215, if you have a property that you would like to work with us to preserve. Conservation easements offer landowners the opportunity to permanently restrict the use of their land, while maintaining ownership. Conservation easements typically are donated, which can result in significant federal income tax benefits to the donor. In special circumstances, Scenic Hudson may consider purchasing a conservation easement. As the holder of a conservation easement, Scenic Hudson is responsible to monitor the land in the future, and we ask easement donors to help fund this cost. Contact GIS and Land Resources Analyst Othoniel Vazquez Dominguez, (845) 473-4440, ext. 215, if you have a property that you would like to work with us to preserve. Through the Important Lands Registry, Scenic Hudson partners with owners of properties of extraordinary natural and scenic importance to recognize the vital role that they play in the care and stewardship of their land. When a property is enrolled in our Important Lands Registry, Scenic Hudson performs a detailed assessment of the property's natural features and offers recommendations for the maintenance and enhancement of the conservation values of the property. Over time, our hope is that the Registry will deepen both the landowner and Scenic Hudson's understanding of the property and its stewardship needs. Participation in the Registry does not provide the public with any rights of access to a Registry property, unless the landowner otherwise chooses to grant such access. The Important Lands Registry debuted with a partnership with Charles and Lucy Busick in the Town of Lloyd (Ulster). Charles and Lucy are the third Busick generation to steward their property along the Black Creek in the heart of one of the most intact and biologically diverse watersheds in the entire Hudson Valley. Carefully managing their forests and ensuring that over one mile of the Creek's banks remain undisturbed, the Busicks are doing their part to make sure that their land continues to provide habitat for our region's signature species and natural resources for future generations. Scenic Hudson partners with other conservation groups, local communities, New York State and the federal government, to orchestrate and facilitate land preservation projects. For example, during a recent round of state funding for open space protection, we assisted several communities to secure funds to purchase properties either alone or together with Scenic Hudson. We own several properties jointly with local communities, where together we involved the community in raising the funds needed to purchase the land and creating a vision for public use of the land. Sometimes we will acquire land with the intention of later transferring it to New York State or other partners. And in some cases, we own land and local land trusts and other partners work with us to manage the property for public use. Contact us if there is a project in your community that Scenic Hudson might be able to help with. To help private landowners preserve the irreplaceable natural and scenic resources on their property, Scenic Hudson maintains an online listing of stewardship resources featuring all kinds of useful information.